Reeder Distributors has spent over 40 years achieving the reputation as the premier solution for wholesale fueling in Texas. 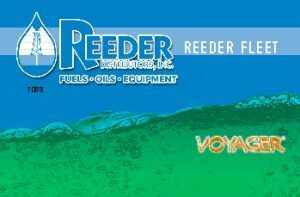 The Reeder Fleet Card is an effective fuel control solution for all fleet managers. The possibilities are nearly limitless. Minimizing fuel slippage (errors, theft, loss, etc. ), through superior management systems, including the Reeder Fleet Card, means management has their finger on the pulse of fuel usage and can limit losses and improve the bottomline. We can assist you with selecting the purchase controls to be used for various employees, branches, departments or fleet divisions. We add another layer of security with our fraud detection alerts that notify you if suspect activity occurs on your card so that you can respond immediately. All driver and vehicle transactions with your cards are available online to simplify driver monitoring. Our team of experts can help you implement a solution that fits your requirements for fleet fuel cards and delivers maximum value for your fleet fueling budget. We’re available to answer questions and consult with you every step of the way. We can help you with a program that puts you on the right track.